1. Place the broccoli fleurettes, along with the water, in a LARGE Pro For Home container. Season with salt and pepper. 2. Release the lid slightly, and microwave on high for 2-3 minutes, or until the broccoli is tender to your liking. 3. Remove the container and carefully remove the lid. Place the broccoli into a serving dish, leaving the liquid at the base in the Pro Home container. 4. Whisk in the pesto and lemon juice into the liquid. Season with salt and pepper if necessary. 5. Pour the broth over the broccoli. 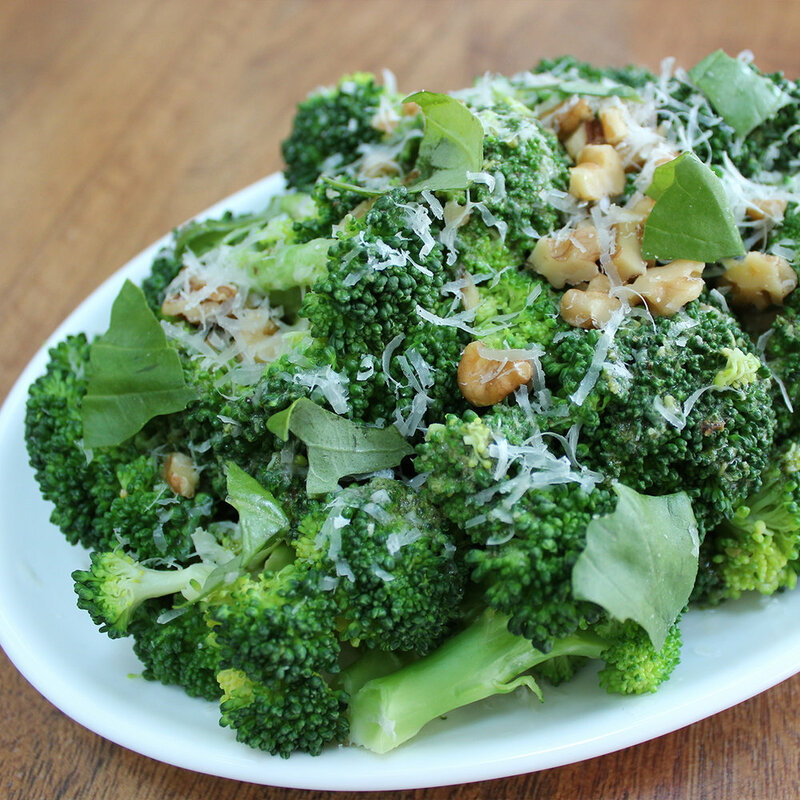 Garnish the dish with chopped walnuts, grated Pecorino Romano, and basil leaves. Drizzle with extra virgin olive oil to finish.